See image of the back cover for book details. 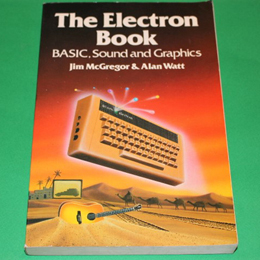 This book will guide you step-by-step from the moment when you first plug in to a stage where you'll be making full use of the Electron's capabilities. BASIC, sound, graphics and animation are described clearly and simply so that you will be writing extensive programs at an early stage. This is an extensive and detailed book covering well over 300 pages - in very good condition.